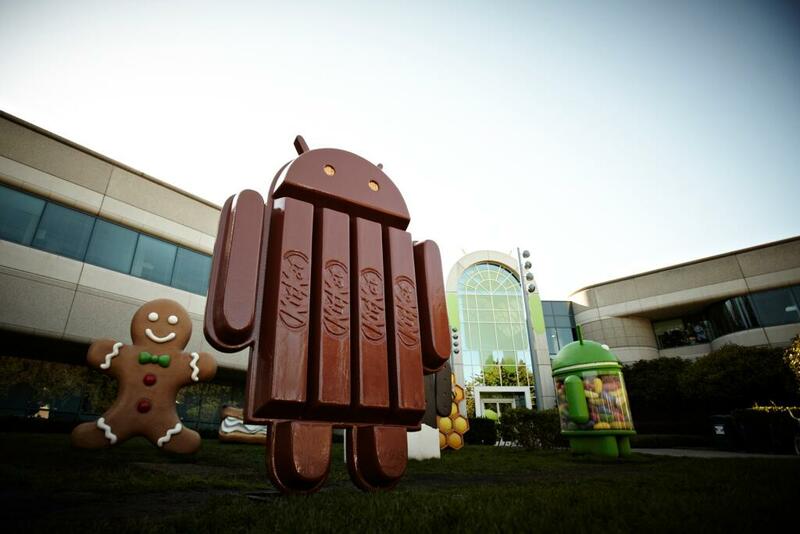 Android boss Sundar Pichai just revealed the new name of the next major version of Android – Kit Kat. Through a picture of a new statue on the Google campus lawn along with a note posted to Google+, Pichai said that he “can’t wait to release the next version of the platform that is as sweet as the candy bar that’s one of our team’s favorites.” In other words, goodbye Key Lime Pie – hello, Kit Kat. We still don’t know if it will be Android 5.0 or 4.4 (it’s officially 4.4), but at least we can stop referring to it by the wrong name. We will more than likely see Kit Kat arrive some time around the end of October at a press event that should include the unveiling of new Nexus devices. For those not familiar with the significance of the statue, just know that each major version of Android is represented by a statue outside of the Android team’s Google building. Whenever a new statue arrives, the new version of Android typically arrives shortly after. In the picture, you can see Gingerbread, Jellybean and Honeycomb. He also mentioned that Android activations have now topped 1 billion, which is a pretty remarkable number. Update: It is confirmed that Kit Kat will be Android 4.4. Cheers Brian, Jared, Sean, and everyone else!